Fun sketch on Splitcoast! My rectangle panel is a little longer to fit the image, but everything else is in order. 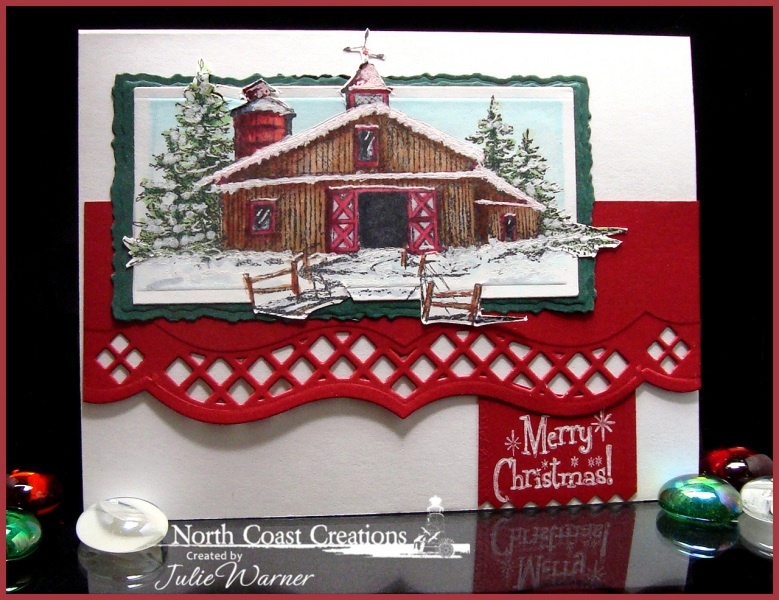 I stamped the barn image and instead of coloring in the ground, I let it be snow and I added more snow on the roof and trees w/ a white gel pen. The out of the box Nestie technique was a little tricky because I had so many points out of the box. The red band was die cut and the greeting was stamped w/ white ink. The finished card is 5.50 x 4.25.